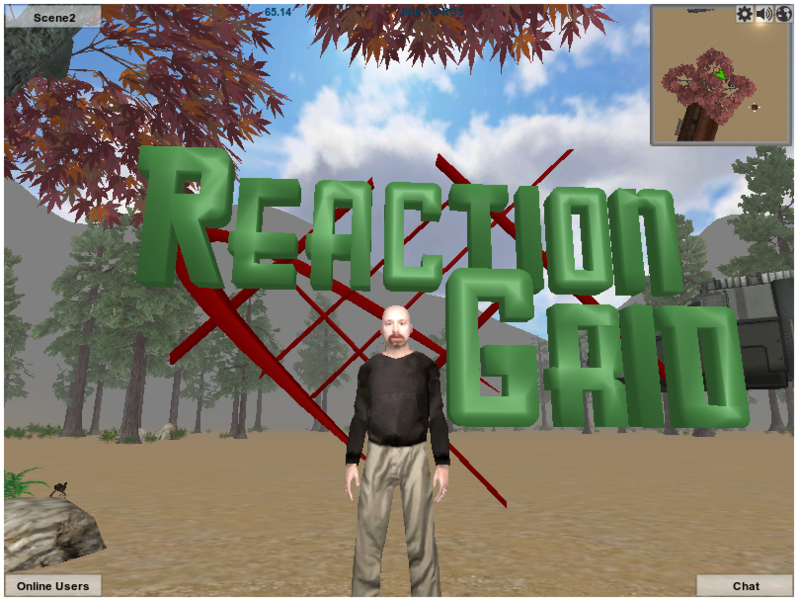 We’ve been working very hard at ReactionGrid on our virtual world platform called Jibe. Jibe is a great way to give people access to virtual worlds through a web browser, and future versions will support mobile devices and even game consoles. You use the Unity3D editor to create environments in Jibe, and I’ve been having a lot of fun learning how to use it as well as finding cool places to get reusable 3D mesh content. 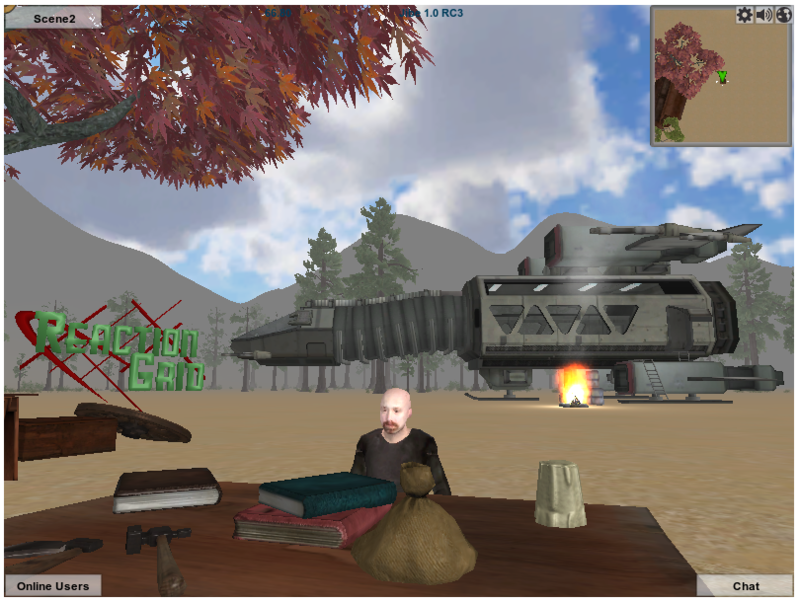 I now have my own Jibe-based virtual world online and accessible by anyone who wants to visit. So I’m officially expanding my weekly Office Hours to include a couple new meetings each week that I’ll be hosting in my Jibe world. See my Office Hours webpage for all the updated details. You can visit my Jibe world even if I’m not around. Just open it in your web browser and have fun exploring. I’m still building it out, so please mind the mess. I plan to add some fun games and hidden secrets in the future. Hope to see you there! Sitting at my workbench in Jibe. And yes, having a fire that close to my spaceship is probably a bad idea. Just visited (under the handle Drum) and I am really very impressed with Jibe. Tried it on my Windows machine, can’t wait to see this more widely adopted! When do you get time to sleep? This is an amazing idea. One more thing to puzzle over. Patience is a virtue! I’ve never seen that error before. I’ll check with our developers to see what it means. I just tried accessing my Jibe world using Firefox 3.6.15 and it worked ok for me. Hi! I also saw this error, but undaunted I told the browser to reload the page, twice. Third time lucky! (Firefox, on a Mac laptop running Snow Leopard). Very impressed! No more ‘duck-walking avatar’, and running if the cursor key is held for long enough – well done. Hmm, that makes 2 folks who got that error. We’ll look into that. Thanks for letting me know! Wow, that’s a great story! Looking forward to seeing your project develop. Hope to see you around!